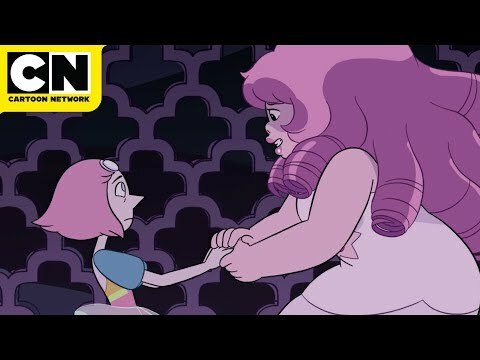 Reeling from new information about Steven's mom, Rose Quartz, the Crystal Gems feel like they're falling apart! Ruby and Sapphire are at odds for the first time - what will happen to Garnet? A joyful celebration is interrupted when the final battle comes to Beach City - can Steven lead the Crystal Gems to victory? Will they have the strength to pull together and show Homeworld the true heart of the Crystal Gems? Steven Universe: The Heart of the Crystal Gems was released on DVD 251d ago in the US. Notify me when Steven Universe: The Heart of the Crystal Gems is available.